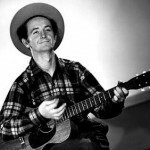 In 1941 Woody Guthrie packed up his wife and kids to take a job with the U.S. department of the Interior. They needed a folksinger to promote the benefits of building dams in order to produce cheap electricity on the Columbia River. Out of the project came 26 songs, including Guthrie’s popular folk classics “Roll on Columbia” & “Grand Coulee Dam.”Learn the full, compelling story in the documentary Roll on Columbia, followed by a live performance by guitarist Larry Tremblay & other local artists! Refreshments provided! Co-sponsored by Jeanne D’Arc Credit Union& the Lowell Film Collaborative. Explore the timelessness of cinema through the eyes of the movie projectionist, that “magician” in the projection booth who spliced, threaded (and sometimes shredded!) celluloid film. As digital cinema takes over the industry, the death of celluloid & 21st century technology has made projectionists defunct, as well as many of the theaters they worked in. See two remarkable documentary shorts that pay homage to The Projectionist and learn more about how the shift to digital is impacting audiences, filmmakers, and theater owners through a panel discussion with special guest speakers. Kris Roselli’s “The Projectionist: A Passion for Film” – (2012) & Kendall Messick’s “The Projectionist” – 2007) . Co-presented by the Lowell Film Collaborative and Jeanne D’Arc Credit Union.